Born and raised in a chiropractic family, Dr. Justine is the 30th chiropractor in her family. “I grew up believing that the body has an innate intelligence that allows it to self-heal and self-regulate.” She witnessed the benefits of chiropractic care, through her years of working as a chiropractic assistant in her parent’s office. Dr. Justine believes that anyone, at any age, can benefit from chiropractic care. “My mission is to educate the community about chiropractic, health and wellness so that you can make informed decisions about your family’s health care.” She also enjoys taking care of children because it’s important that their nervous system functions optimally for proper growth and development. 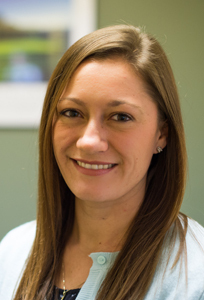 Dr. Justine is certified in the Chiropractic BioPhysics® Technique (CBP®), and a member of the Michigan Association of Chiropractors (MAC). If you’d like to experience optimal health and wellness, contact our office today to schedule an appointment!